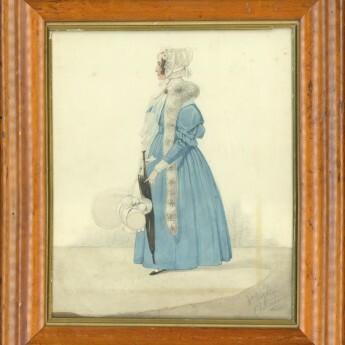 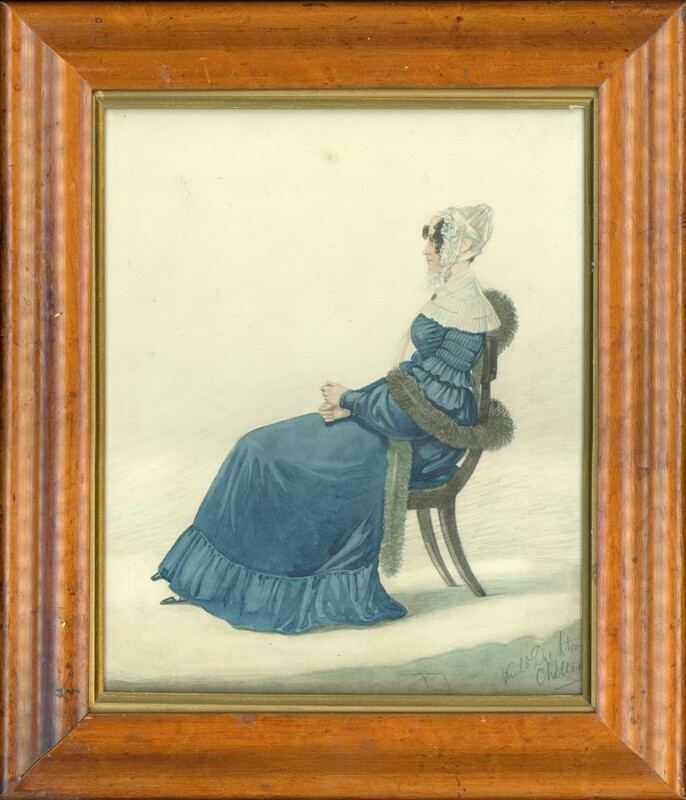 This watercolour profile shows a fashionably dressed lady with ever so dainty feet seated and looking relaxed in a dark blue dress with distinctive sleeves that are flounced above the elbow and full down to the wrist. 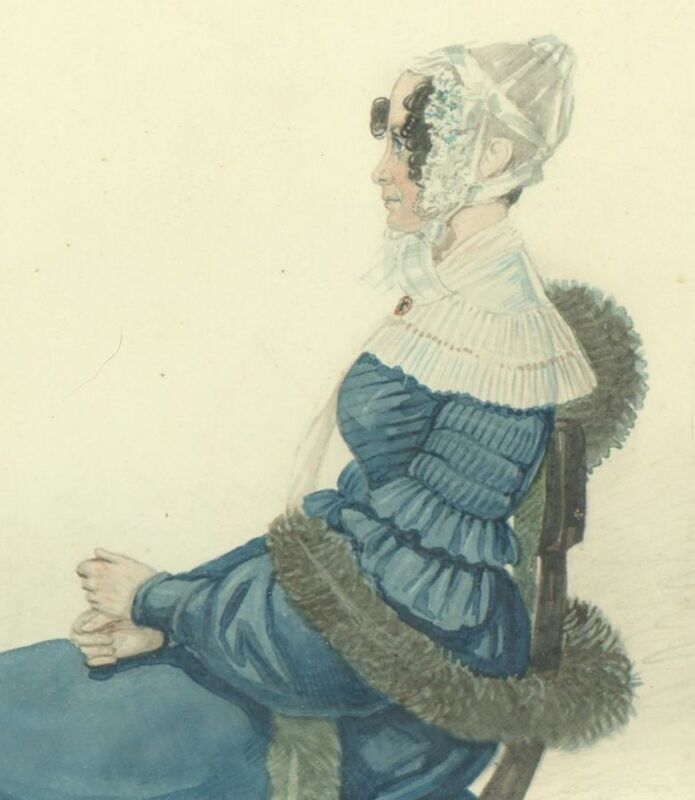 This is worn with a white pelerine fastened with a gold brooch and a pretty cap lightly trimmed with green and tied under the chin. 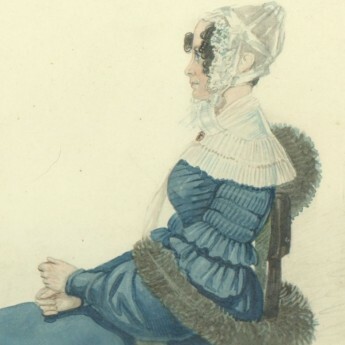 Over her arms and falling over the back of the chair is a long grey fur boa. 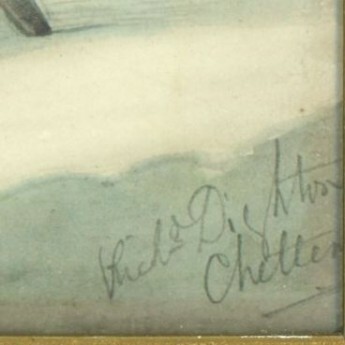 The portrait is signed bottom right in pencil ‘Richd Dighton / Cheltenham’. 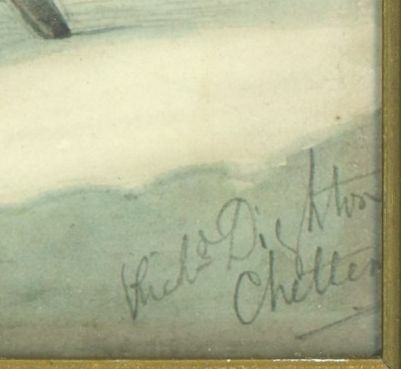 It resides in a bird’s eye maple frame with a gilt slip.